“I rode with restraint and courtesy,” were not words Andrea Ianonne spoke during 2016. 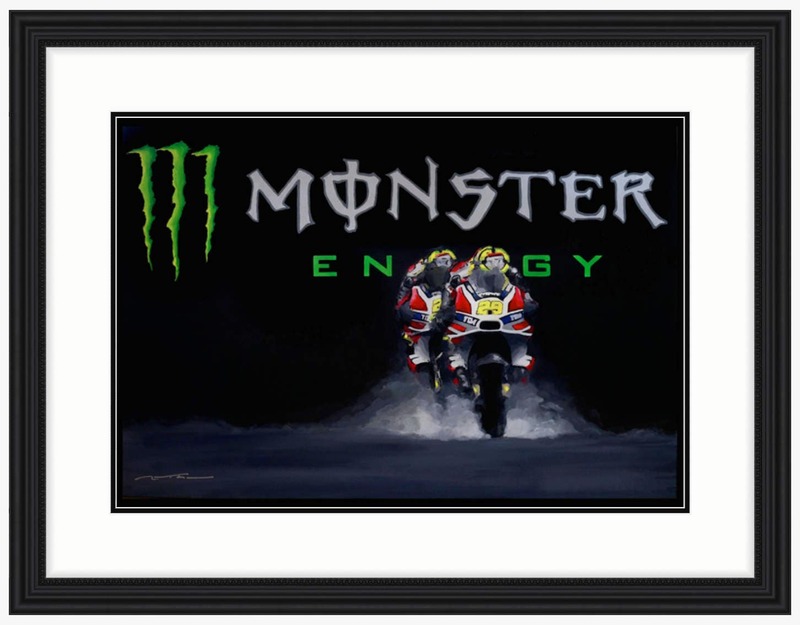 After starting the season with a crash in Qatar, he infamously torpedoed Dovizioso on the last lap in Argentina when the pair were set to double podium for Ducati; and Lorenzo and Marquez were both victims of 'The Maniac'. His monster-like aggression may have damaged others, but clearly the greatest damage he did was to himself. Ducati dropped him as a factory rider and The Maniac will no doubt seek revenge in 2017. 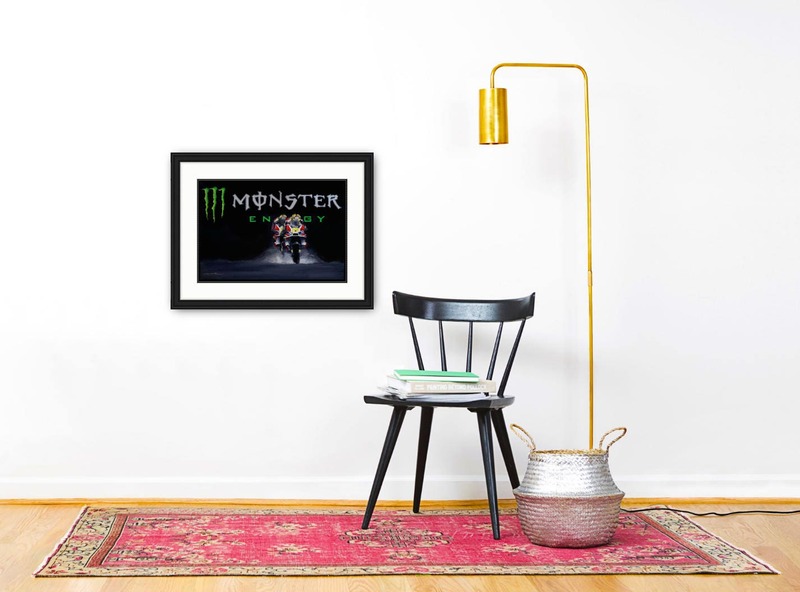 The artist’s original Acrylic-and-ink on canvas painting depicts Iannone racing his biggest competitor: himself. 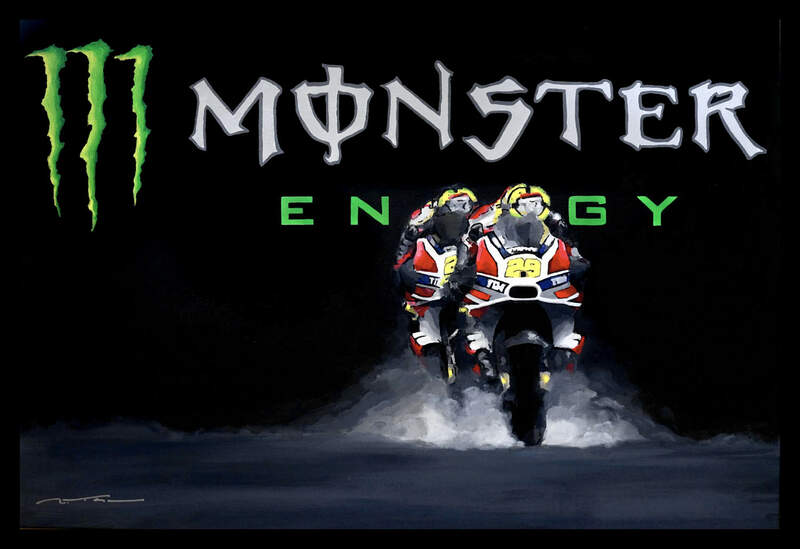 Set in stormy conditions, Iannone races against his own demons with the Monster logo looming menacingly in the background.